Oxygen Freejumping is the UK’s number one trampoline park operator with 9 parks across the UK and many more planned for the future. We opened our first park in Acton in June 2015 and shortly before our first anniversary had grown to 5 sites across England. We now have 9 parks – located in Acton, Croydon, Derby, Leeds, Southampton, Stevenage & Wolverhampton. Each park is located in a popular leisure or retail park with close ties to their local communities. We have always put quality and safety at the heart of everything that we do, investing in our parks and our people to secure our position as the UK’s number one operator. Our parks are fitted with the latest and best in trampoline technology to ensure that every visitor leaves with a spring in their step. We pride ourselves on the diversity of features and activities that we offer at our parks, with 10+ different jump zones for our visitors to explore and enjoy. 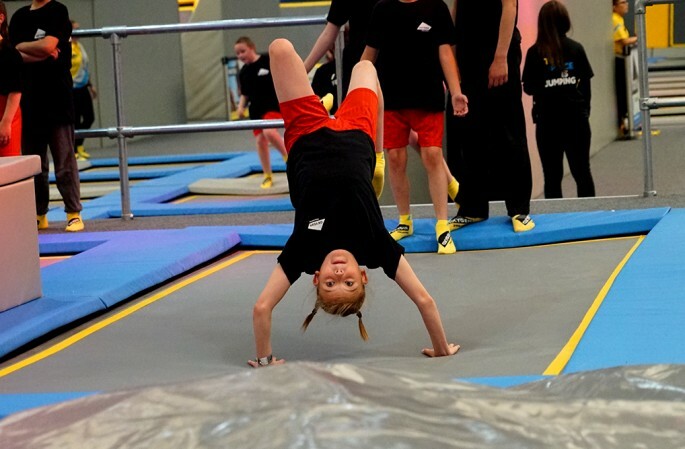 We host a range of activities, from Freejumping, our most popular session, Parties with a dedicated host, the School of Trampolining with British Gymnastic qualified instructors to take your moves to the next level and Fitness Classes, so you can exercise with a smile! Freejumping is the best way to see what we’re about! The trampoline park is yours to explore for an hour! That’s 150 connected trampolines, an obstacle course, foam pit, dodgeball, runway and airbag! Phew, we’re out of breath just saying all that. Please click your park below to see location information, timetables, contact details & more. One of the only places I've found to go which caters for all our family. Our children range in age from 5-15, and everyone loved it. Will definitely be returning time and time again. Had a brilliant time with my boys there - an hour isn't long enough! There's different areas so unlike other trampoline parks which only have the large trampolines you can do different things, there's a parkour type run which massively appealed to my minecraft obsessed boys, as well as volleyball, dodgeball and their most favourite the big air bag you bounce from trampoline to on to. Definitely recommend this and have already booked to go again!